Around 1.8 million people are at risk of starvation in Nigeria, the World Food Programme (WFP) said on Friday. They are mostly victims of Boko Haram insurgency in the northeastern part of the country. Boko Haram insurgency has killed more than 15,000 people since 2009 and forced some two million from their homes. The Nigerian army, backed by neighbours, has retaken most areas held by the group, but Boko Haram has recently stepped up attacks and suicide bombings. Aid groups entering the region in recent months have warned that shortages of food, shelter and medical care were threatening refugees with widespread famine and disease. 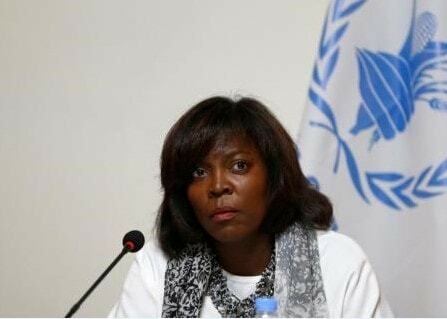 WFP executive director Ertharin Cousin said in all an estimated 4.4 million people were in need of food assistance in the northeast, though the full scale of the crisis was still unknown as some areas remained unreachable. "The challenge is that there are areas in Borno state (Boko Haram heartland) that are still inaccessible, and we have no idea of the food security situation (there)," she told Reuters. Even in parts of the northeast held and defended by the army, Boko Haram attacks were jeopardising aid programmes, Cousin said. Ending the insurgency will require a political as well as a military solution, Cousin told Reuters, adding: "Until we resolve those issues the humanitarian situation will not improve to a level that allows us to reach all of those in need." There have been no signs that Nigeria's government has engaged with Boko Haram, which seeks to establish an Islamic caliphate in the northeast, on a political level.